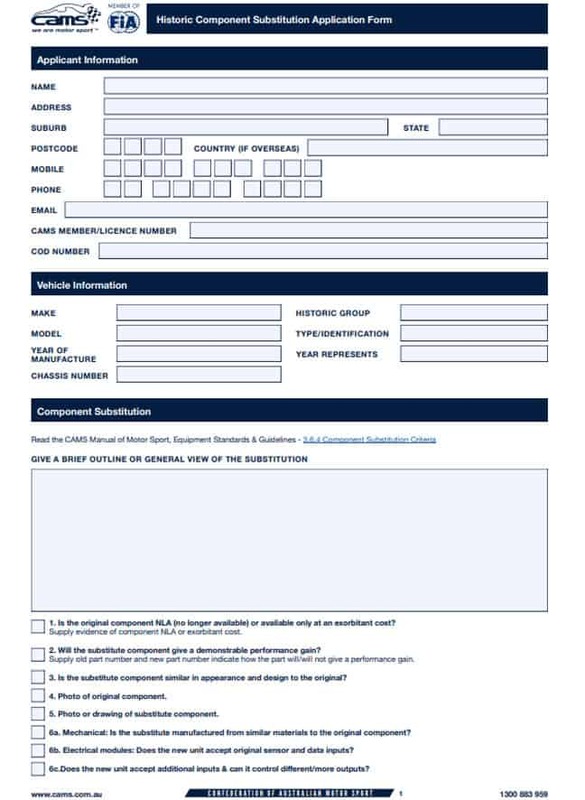 As per 3.6.4 of the 5th Category section of the CAMS Manual of Motor Sport (Component substitution criteria) if a component is no longer available or available only at an exorbitant cost a competitor may request a component substitution. Is the original component NLA (no longer available) or available only at an exorbitant cost? Supply evidence of component NLA or exorbitant cost. Will the substitute component give a demonstrable performance gain? Supply old part number and new part number indicate how the part will/will not give a performance gain. Is the substitute component similar in appearance and design to the original? Photo or drawing of substitute component. Mechanical: Is the substitute manufactured from similar materials to the original component? 6b. Electrical modules: Does the new unit accept original sensor and data inputs? 6c. Does the new unit accept additional inputs & can it control different/more outputs? 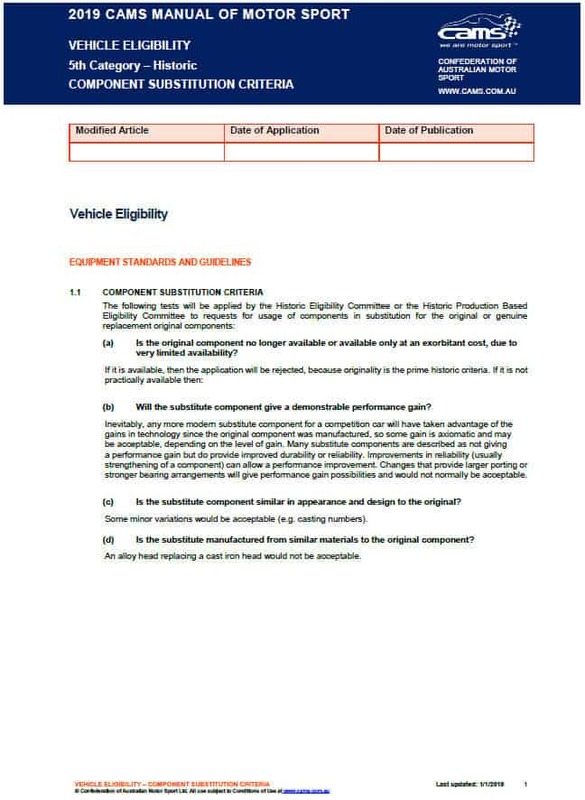 As per H106 – Touring Cars-2019-1 of the 5th Category section of the CAMS Manual of Motor Sport (Component substitution criteria) if a component is no longer available or available only at an exorbitant cost a competitor may request a component substitution.